Size: 60 X 120 inch, Made from 100% Polyester. Soft excellent hand feeling. 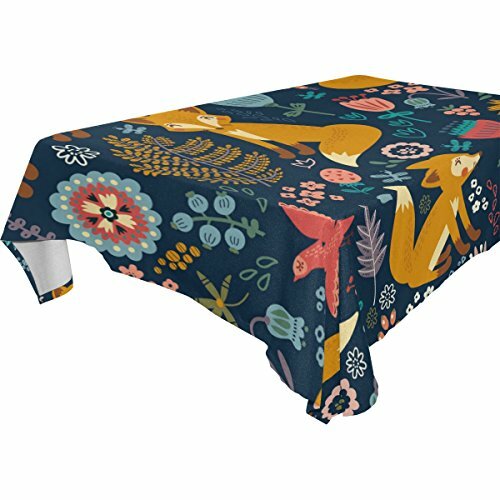 These highly unique and versatile table cloth are durable enough for your home. Our products¡¯pictures are beautiful. Modern design perfect for any room and decor, it is a best chioce to give this item as a gift for dinner kitchen party picnic wedding halloween christmas.